PMP40001 is a full featured USB type-C PD DFP reference design. 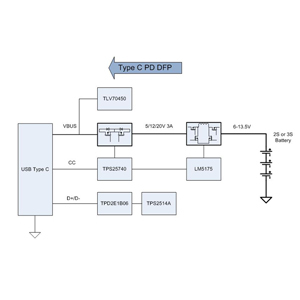 The pure analog configuration for the USB type-C source controller--TPS25740 makes the PD negotiation easy. It supports 3 sets of output voltage options including 5V/12V/20V. 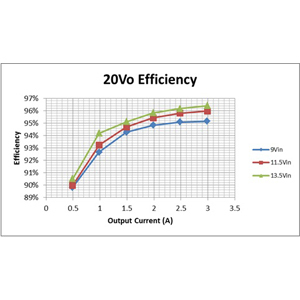 The max output current is 3A which provides a maximal 60W output power @20Vo. 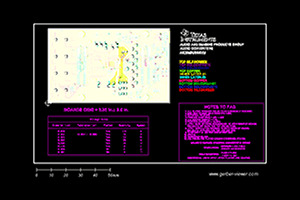 This design's total efficiency can achieve 96% at full load by adopting the high performance buck-boost controller--LM5175, which also means a good thermal performance. The valid input voltage range is from 6V to 13.5V which is compatible with the 2S and 3S lithium battery pack.